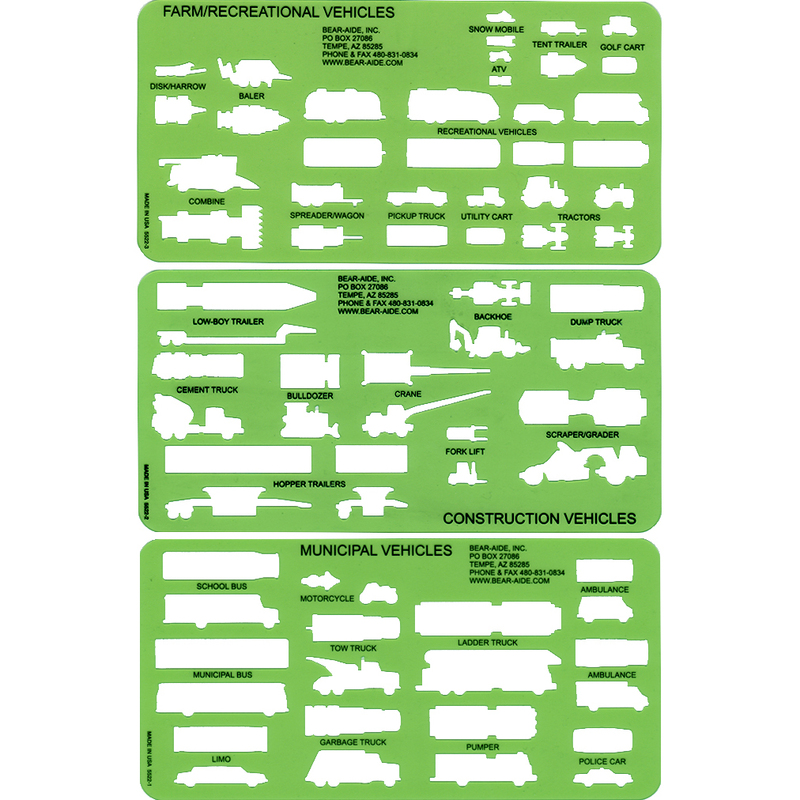 The Large Vehicle Template Set has three 4 inch by 8 inch templates in a sturdy leatherette case. The templates are categorized as Municipal Vehicles, Farm/Recreational Vehicles and Construction Vehicles. 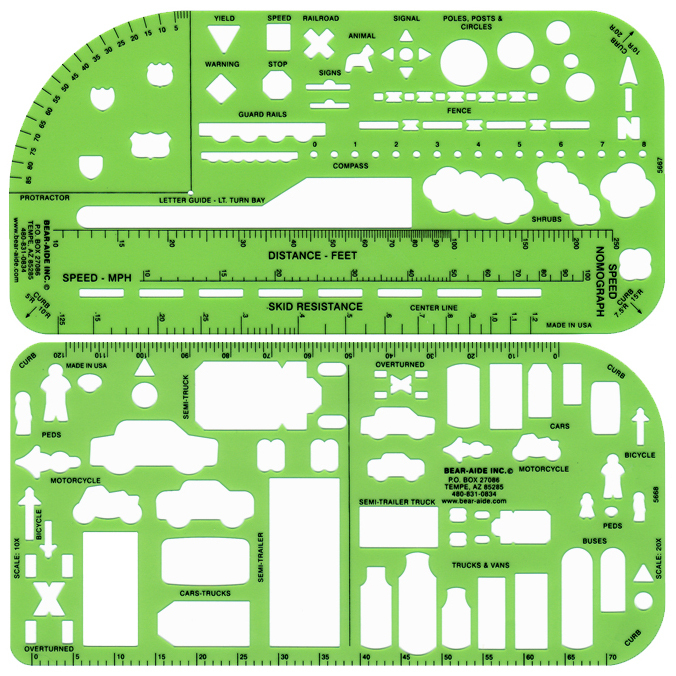 The scale of the cutouts is one inch equals twenty feet and the templates are compatible with the Universal Traffic Template Set, the Double Traffic Template Set, the Pocket Traffic Template Set, the Boat Template Set and the Railroad Template. Size 4" X 8" each. Price includes shipping & handling. Click on product thumbnail image to view large image.